HP has today refreshed its entire lineup of Envy laptops with 2nd Gen AMD Ryzen processors coupled with the 8th Gen Intel processors. The new lineup from the company includes HP Envy 13, HP Envy x360 13, HP Envy x360 15, and the HP Envy 17 laptops. The new laptops come with features like webcam killswitch and privacy screen. In addition to this, the company has also launched a Reverb VR headset, which can provide a resolution of 9.3MP per eye and a field of view of 114-degrees. HP has introduced five new laptops which includes regular as well as convertible devices. The HP Envy 13 and the HP Envy 17 come with a metallic chassis and come with a fingerprint sensor and a privacy screen. The two laptops come with a 3-way micro edge full-HD display that sports thin bezels. However, for HP Envy 13, one can opt for the optional 4K panel. Both the devices are configured with up to an 8th Gen Intel Core i7 processor clubbed with Nvidia’s GeForce MX250 graphics. The two will hit the stores next month and will come at a starting price of $899.99. We should add that the HP Envy 17 will also be available at Best Buy in May. In Envy x360 13, users will be able to choose between full-HD and UHD screens, while its bigger sibling Envy x360 15 will be able to support 4K resolution. The Envy x360 13 laptop will be powered by up to 2nd gen AMD Ryzen 7 processor clubbed with AMD Radeon Vega 10 graphics. On the other hand, customers will be able to choose between AMD and Intel processors if they buy an Envy x360 15. The device with Intel processor will come with Nvidia GeForce MX250 and 4GB of graphics memory and the AMD variant will have AMD Ryzen 7 processor clubbed with AMD Vega 10 graphics. HP Envy x360 13 will be available for purchase starting April and its starting price will be $699.99. On the other hand, the HP Envy x360 15 will be available for purchase via HP’s online store and its starting price will be $799.99. Customers can also buy the latter via Best Buy in May. 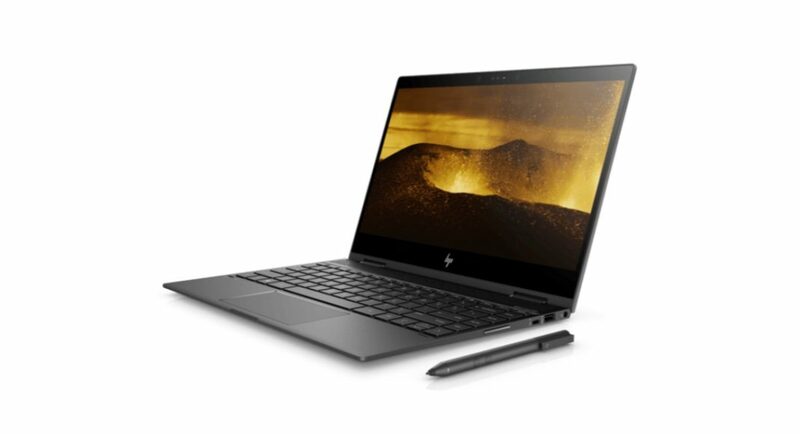 In addition to this, HP also unveiled two new devices in its PreBook series – the ProBook 445R G6 and the ProBook 455R G – that are backed by AMD processors. Both the laptops come with 2nd Gen AMD Ryzen processor and sport a MIL-STD certified metallic build. The laptops will hit the stores in June. Other than this, HP has also launched ProDesk 405 G4 Desktop Mini that houses the 2nd Gen AMD Ryzen Pro processor and is slated to go on sale in May. It is priced at $499. The company has also taken wraps off its HP Reverb VR headset, that will be available in two variants – the HP Reverb Professional Edition and the HP Reverb Consumer Edition. While the former will be priced at $649, the latter will cost $599. The headset has a two LCD displays and comes with a refresh rate of 90Hz. HP Reverb has a 114-degree field of view and it has two front-facing cameras.